The most valuable support provided by us is the deliverence of clean water to various parts of the country so that travelling in search of water can be stopped. 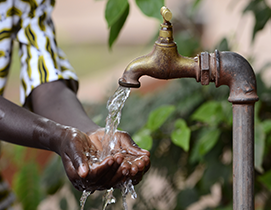 Our Water Projects contributes heavily into safe and good water by digging water holes, spring protections, small dams, and many other water sources. Your charity gives life and links you to the future.